That’s it! 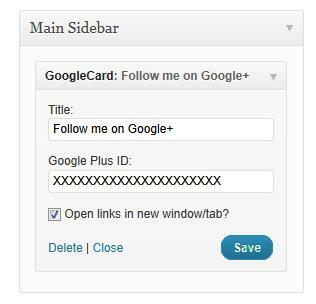 Refresh your website and you should now see your very own Google Plus Widget being displayed on your WordPress site. If you like our Google Plus extension, please consider rating it on the WordPress site! And stay tuned for updates to this Google Plus plugin…we’re looking to enhance the extension even more to include an option for a Google +1 button as well as a choice of multiple themes. And be sure to check the FAQ page associated with the Google Plus Widget plugin page on WordPress for common error resolutions.